Engineering and construction major Larsen & Toubro (L&T) is in talks with the Ahmedabad-based Adani group to sell its power plant in Punjab at an estimated value of around Rs 3,000 crore. If the deal gets through, it will be Adani's third acquisition of a power project in 17 months. A banker said the talks with Adani are at an advanced stage. However, no decision has been taken yet as due-diligence is currently on. The acquisition will play an important role in Gautam Adani's plan to become India's biggest power producer and port operator in India. Nabha Power Ltd, a subsidiary of L&T, has investments in two units of 700 Mw each of coal-fired power plants in Rajpura, Punjab. The plant turned fully operational in FY15. Last year, L&T Chairman A M Naik had said in his annual address to the shareholders that the company was looking for selective value monetisation in Nabha Power. For L&T, sale of assets is crucial as its stock has fallen 35 per cent in six months, following a weak order inflow outlook for fiscal 2016. It closed flat at Rs 1,102 on Thursday. Adani Power closed flat at Rs 26.60. It will be a good acquisition for the Adani group as the entire power produced by the L&T plant is currently sold to Punjab State Power Corporation and the power purchase agreement is valid for the next 25 years. The plant - built on super-critical technology of Japanese company Mitsubishi - sources its fuel from south-eastern coalfields under a 20-year fuel supply agreement. The power plant has been running successfully for over a year with a technical availability of over 90 per cent in the first year of operations. When contacted, an L&T spokesperson declined to comment on the "market speculation". An email sent to the Adani group did not elicit any response. 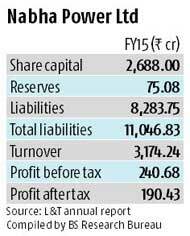 Adani group had earlier taken over Lanco's Udupi plant for Rs 6,000 crore in August 2014. A few months later, the company announced takeover of Avantha group's Korba power plant for Rs 4,200 crore. L&T and the Tatas had earlier sold off their stake in Dhamra port in Odisha to Adani in May 2014 for Rs 5,500 crore. 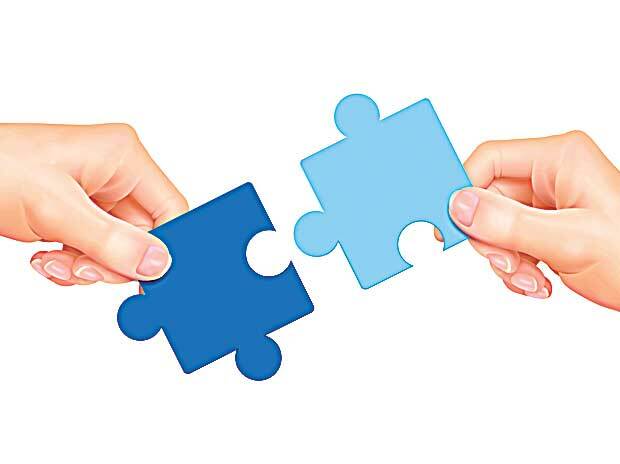 In October last year, Adani Ports (ADSEZ) had also signed an agreement with L&T Shipbuilding to acquire Kattupalli port in Tamil Nadu at an enterprise valuation of Rs 2,000 crore. Punjab power plant will not be the only sale by L&T in the recent times. The company sold a large commercial real estate project in Chandigarh in the second quarter of FY15 to raise Rs 1,800 crore. Later, the company sold a 5% stake in its listed subsidiary, L&T Finance, to raise Rs 600 crore. In the coming months, it is also looking at the option of listing L&T Infotech by selling 15 per cent stake in the company for Rs 2,600 crore. L&T is also considering part-monetisation of its investment in L&T Seawoods project in Navi Mumbai, where it is developing a railway station and real estate properties around the station.